This is a reusable, vinyl decal sheet. Put them on your walls, in your locker...anything with a smooth surface! Watch video below for more details! 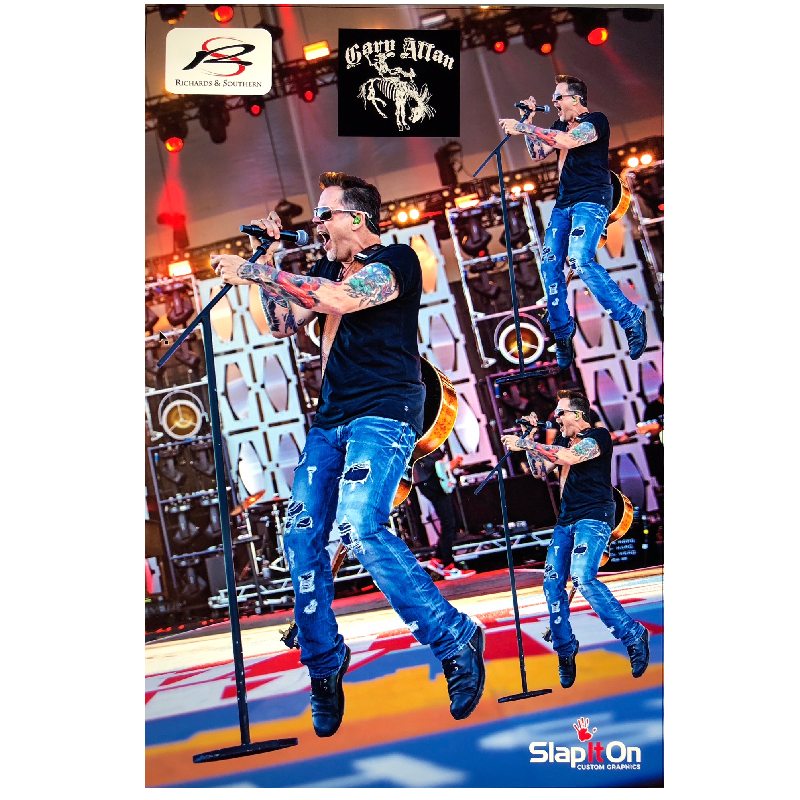 The whole sheet measures 8-1/2" X 11" and comes with 3 live concert shots of Gary Allan and 1 bucking bronc logo decal.